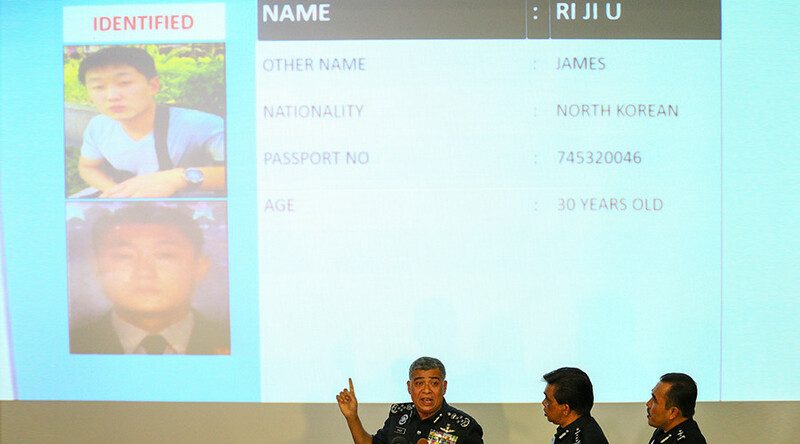 Malaysian police have reached out to Interpol for help in apprehending four North Korean citizens wanted in connection with the murder of Kim Jong-nam. The suspects are believed to have returned to North Korea on the day Kim died. Kim Jong-nam, the estranged half-brother of leader Kim Jong-um, died on February 13 at Kuala Lumpur International Airport in a suspected poisoning. CCTV footage from that day shows a man believed to be Jong-nam being sprayed in the face by a woman identified as Indonesian Siti Aishah, who has since been detained by police. Along with the Interpol request, Malaysian police have also asked the North Korean embassy in Kuala Lumpur for an interview with two suspects they believe are residing there. “If you have nothing to hide, you should not be afraid to cooperate, you should cooperate,” Malaysia’s police chief, Khalid Abu Bakar, said at a press conference on Thursday, Reuters reported. However, a North Korean official at the embassy told the media that no formal request for interviews has been received, but did not respond when asked if such a request would be honored. One of the suspects, Hyon Kwang Song, who is an official at the embassy, will not be served with an arrest warrant due to diplomatic immunity, according to Khalid. The second suspect, Kim Uk Il, an employee of North Korea’s state-owned airline Air Koryo, will face “the process of the law” if he does not come forward, Khalid warned. North Korea has refuted reports that the victim was Kim Jong-nam. News of the murder was reportedly broadcast in North Korea by state-run KCNA news, but Kim Jong-nam was not mentioned. The deceased was simply identified as a “citizen” in the report, and Malaysia was held responsible for the death. Malaysia has refused to hand the body over to North Korean authorities until a family member claims it. Meanwhile, Malaysian police reported earlier this week that attempts have been made to break into the morgue where the body is being stored.